Solid running and driving pathfinder. Very capable off road. 4x4 works great with auto-locking hubs. 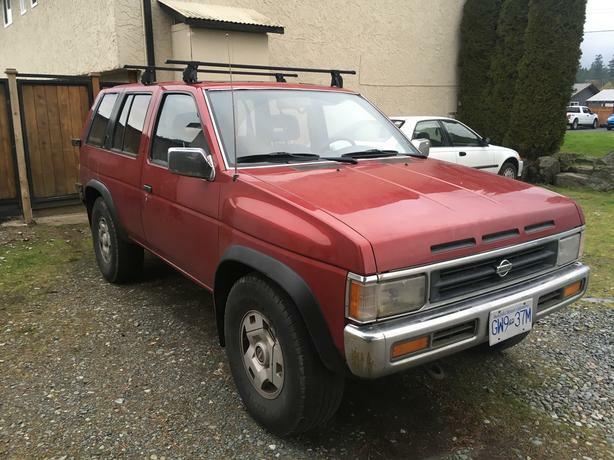 Fully loaded with power windows and locks, interior is in great shape, roof racks, clean body and frame with minor rust - most of which is on the rear bumper, manual transmission, 3.0 V6. Low price due to the fact that it does need a new starter. I can still get it running for test drives etc.. but will need a new one to be reliable again. I'm moving next month and the truck cant come with me and I just don't have the time to put a new starter in it. It's in good shape overall and runs and drives great. pretty flexible on the price as I need it gone fairly soon. Happy to answer any other questions you may have.